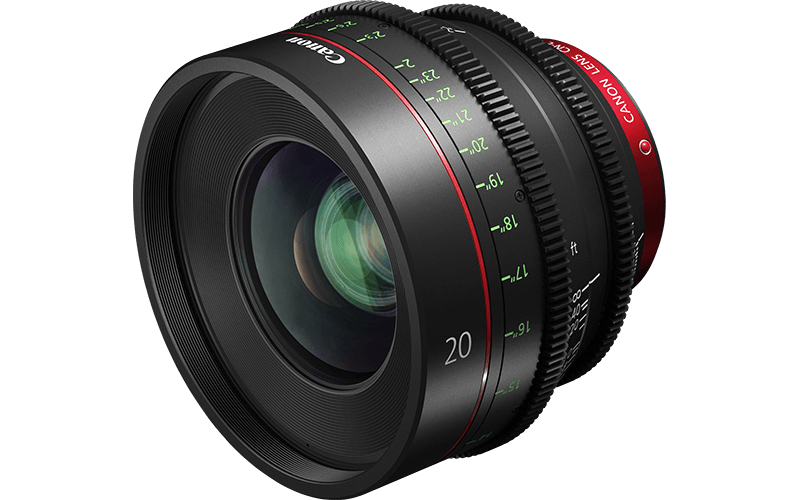 Employing anomalous dispersion glass that's effective in reducing chromatic aberration, plus large-diameter aspherical lenses, this stunning 20mm cine-prime achieves high-resolution 4K imaging right across the frame. Employing anomalous dispersion glass to reduce chromatic aberration, plus large aspherical elements, the lens achieves high-resolution imaging across the frame. 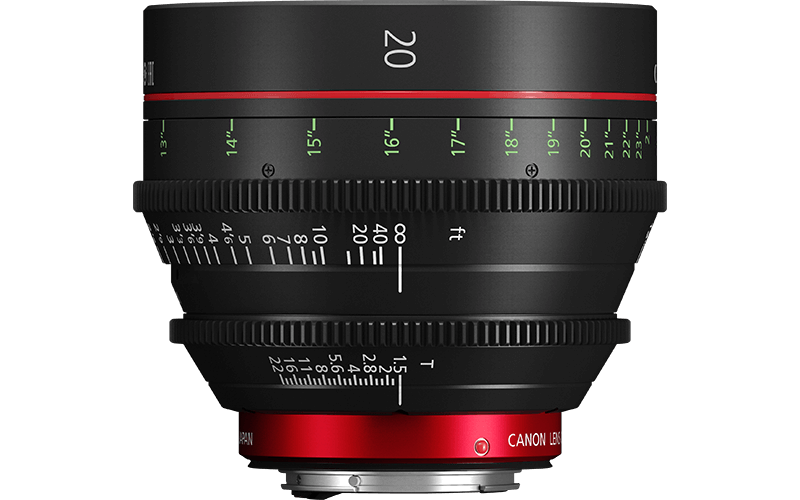 The lens offers widespread lens compatibility options for professional filmmakers using Super35mm full-frame, APS-C and APS-H cameras. An aperture diaphragm with 11 leaves creates gentle, attractive blurring or ‘bokeh’ for cinematographic effects and created deeper, richer depth-of-field. 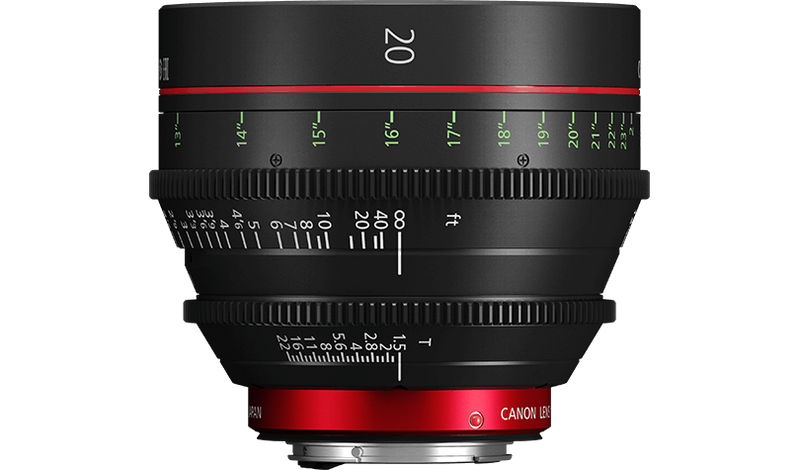 The lens offers a sturdy build that’s user-friendly for demanding productions. It features focus and iris markings that are engraved on angled surfaces for improved readability. The lens communicates to the camera data relating to ambient light, chromatic aberration, and other image information and can be used with movie industry accessories.